Interests:everything and anything in between. 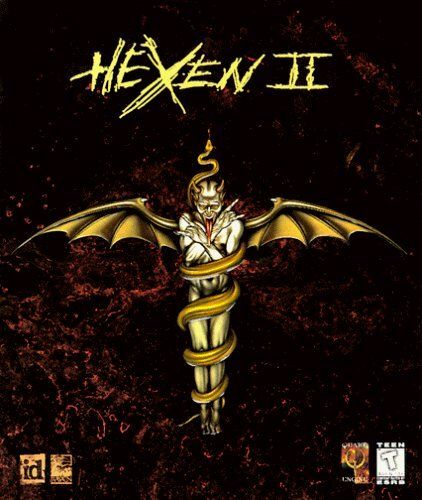 XHexen II for the original xbox. Released today is xHexenII originally ported by A600. When he released his sources some years ago i wanted to make sure everything was in good working order/cleaned up before this was released out. This build is the build i sent out to beta testers a little while ago. Thanks to A600 for sharing all his hard work so these ports were possible! This has already been beta tested by a few from beginning to end and i have received pretty good feedback. Thanks to all the beta testers! Everything you need including the game files are included in the zip! I think there are some very minor bugs here and there, mostly some tiny renderer bugs here and there if i remember correctly, but for now ENJOY~! If you are having issues with the input setup it can be configured in the menu once starting a game. Your config will be saved once setting the controls the way you want it. The game also saves your progress correctly as well. Also Keep an eye out as Wolf3dx will also be receiving an update for modern FPS controls soon too! I might try to update the sources again later as this is based on an older source, but that matters none as this build is ready to rock! Just FTP to your xbox, unzip the files and get to smashin paladin!